WILL IT EVER BE GOLF SEASON? Last weekend as I sat bundled up in front of our fireplace, I had to laugh. I was watching the Masters Golf Tournament and listening to the TV announcers describe the “brutal” conditions. Clearly, my definition and their definition of the word “brutal” were a teensy-weensy bit different. When I looked outside there was a gale force wind driving sleet and snow and my driveway was a hockey rink. The “brutal” conditions in Augusta, Georgia, according to the announcers, was a breeze so daunting that it actually caused ruffling on the short sleeves of their golf shirts. Heavens to Admiral Perry, how heroic the players were just to survive! Anyway, for those of us in Northern Michigan who are waiting for the appearance of spring, it seems like the golf season will never get here. If you listen closely, those clunking sounds you hear are golf balls rolling across carpets and (hopefully) into cups and glasses positioned on the floor. That's about as close to golf as we can get right now. I have been playing golf for 64 years, so I am as anxious as any other golfer. 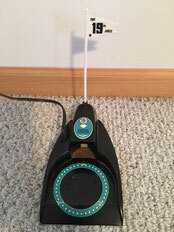 My practice device of choice is a vintage Green Arrow Electric Putting Cup. When the ball goes in it makes a satisfying “ker-chunk” as it ejects the ball and shoots it back to you. 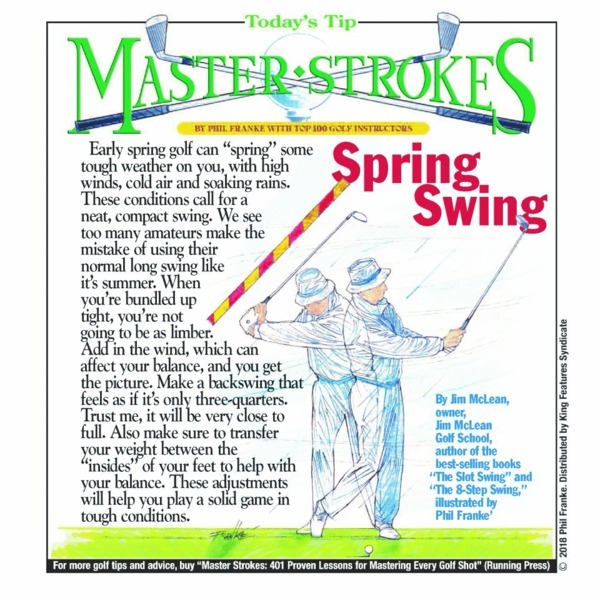 This is also the time of year when many of us gaze longingly into our golf bags to see if there might be a way to lower our scores by inserting one of those “magic clubs” advertised on TV during the Masters. 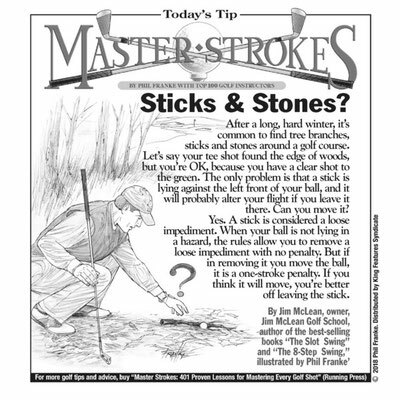 You know, one of those sticks could be the find that transforms those drives that wind up in the woods into lasers that land 400 yards down the center of the fairway. This could happen. As they say, hope spring eternal. 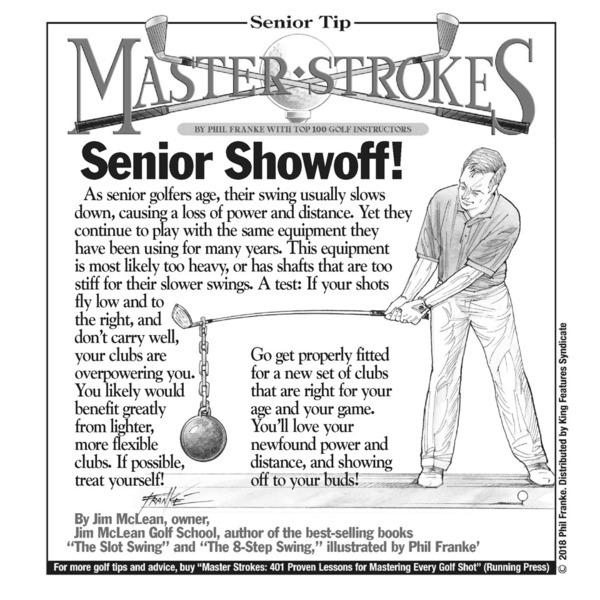 But I am reminded of some advice by the legendary golfer Sam Snead. I was once a co-owner of Michigan Golfer Magazine and in my capacity as associate editor got to cover an event at Boyne Mountain's Monument course. On that course each hole is dedicated to a golf legend and on this day the 18th hole was being named for Sam Snead. Well, if a dandy, new miracle club is not a lock to game improvement, then what is? Perhaps some strategy? As I grew up playing golf in Flint, our home course was Mott Park, a 9-hole layout near downtown. The course was hard as a rock and all Mott regulars developed what we called the “Mott rolling 7-iron.” All of our chipping and pitching was done with a 7-iron. The wedges in our bags never saw the light of day. The logic was that you could better predict what the golf ball would do when it was rolling on the ground than you could if it was in the air. My brother, Big Rob, and I still use this shot today. 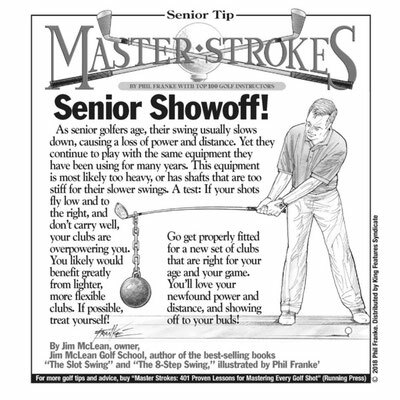 If taking your golf tips from an old, bald guy is not something that interests you, there is a pretty cool series called Master Strokes golf tips. These are sort of like editorial cartoons and run several times a week. 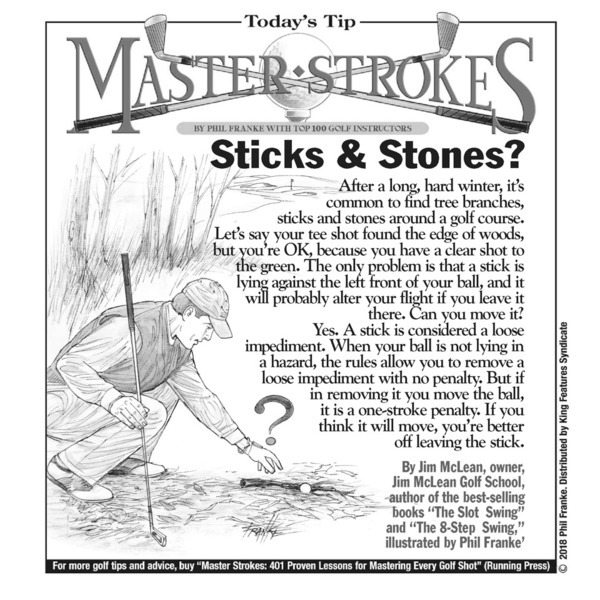 Each illustration gives you a nifty golf tip by a PGA professional, sometimes a technique and sometimes an explanation of a golf rule. In any case, it's something to think about as you await the golf season. 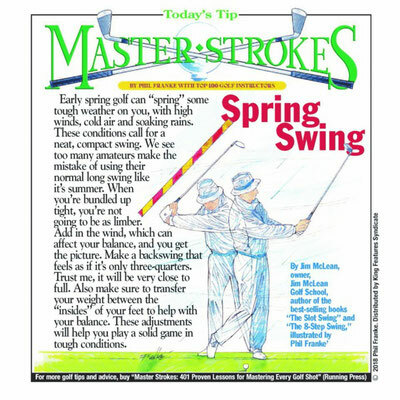 You can find these at Arcamax: https://www.arcamax.com/sports/masterstrokes/. If you want these delivered to your email, just sign up free at Arcamax and have the Master Strokes newsletter sent to you.